(Senior) Legal Officers. Funding for this position will be from 1 January 2019.  Perform other duties as may be assigned. tone, style and format to match the audience; demonstrates openness in sharing information and keeping people informed. accomplishments and accepts joint responsibility for team shortcomings. an emphasis on legal analysis, research and writing. 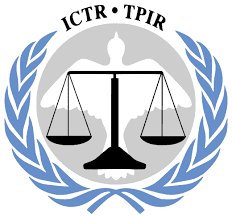 Experience with international criminal tribunals is highly desirable. advertised, fluency in oral and written English is required, and working knowledge of French is highly desirable. There may be a technical test and a competency-based interview. members in the United Nations are subject to the authority of the Secretary-General. Staff Members are expected to move periodically to new functions in accordance with established rules and procedures, and may in this context be reassigned by the Secretary-General throughout the Organization based on the changing needs and mandates. Applications cannot be amended following submission. Candidates under serious consideration for selection will be subject to a reference-checking process to verify the information provided in the application. All applications must be submitted through the UN Inspira portal.